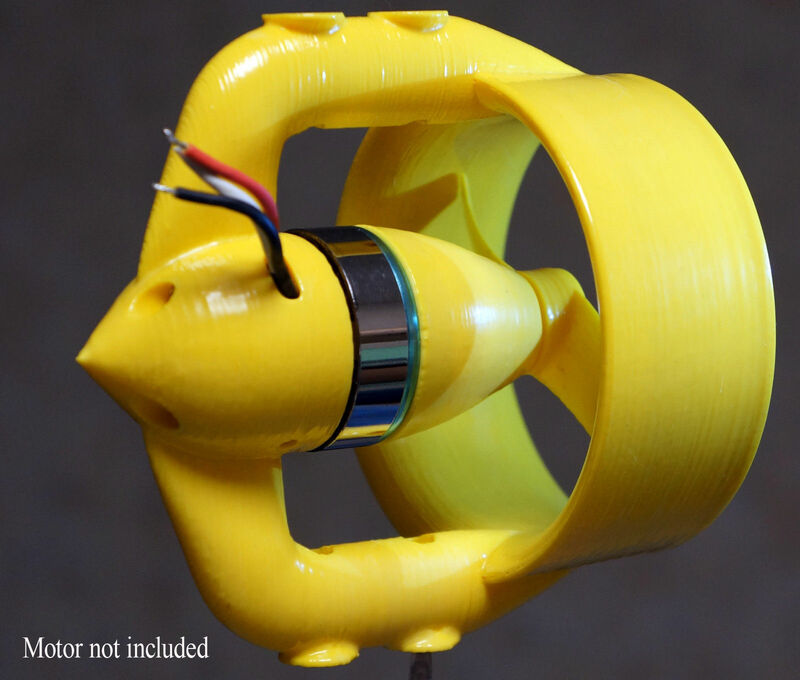 This is 3D printed Kort nozzle designed for DT700 / DT750 motors. 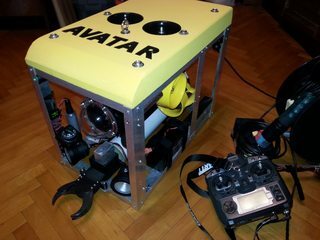 We use 6 of them in our ROV "AVATAR"
But as an experiment we also tried these engines even as an underwater arm thrusters. 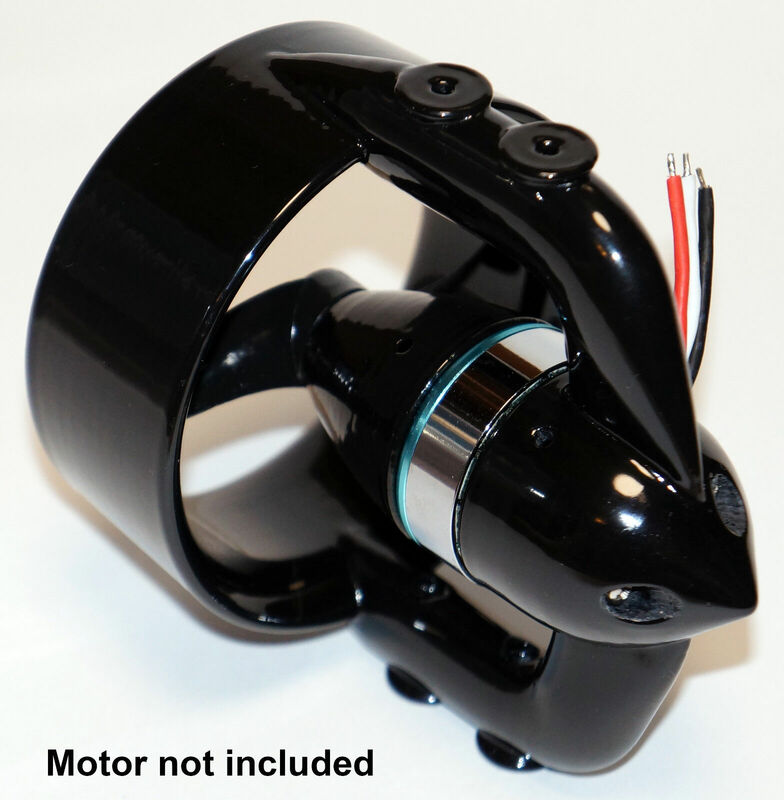 At a current of 15 amperes per motor, the speed is 1.85 mph with a swimmer weight of 166 pounds. We seldom use them at 20A cause big current means very short battery run time. If you will use them at high power you should prepare DT700 for it. 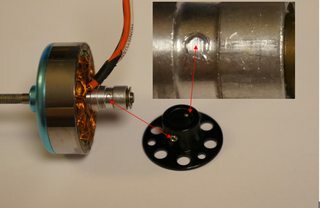 Our test show this two small screws can not keep the motor from turning at maximum load. Even if you screw them hard they cannot make a good hole. This can lead to a break in the wires and damage to the motor. 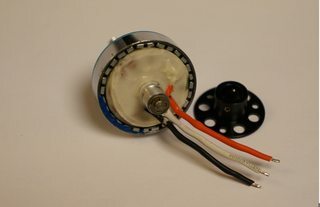 Although most brushless motors can work in water, it is recommended to make some modifications (even included Blue Robotics). Over time (after 100-1000 hours) microscopic damage appears on the wire's protective coating. Leakage of current through these holes can lead to malfunctions in the ESC or RC controllers. Moreover electric current into these holes causes electrochemical corrosion, which leads to a rapid destruction of the wires (after 10-100 hours). To prevent this we should impregnate the wires with epoxy. The engine will operate underwater with increased power (5-10 times the nominal! ), so it is necessary to ensure a good heat dissipation. To do this, choose an epoxy with a high thermal conductivity. Forward and back thrust is almost the same. In the event of a breakdown of the propeller it is very easy to replace it even underwater. Our robot has made more than a hundred dives with these thrusters and they have proven themselves very well. We use batteries on board and thanks to a small current consumption our robot works 6-8 hours continuously without changing the batteries. Previously, we tested it in a 300-liter bath and strong turbulence prevented us from obtaining stable and accurate data. 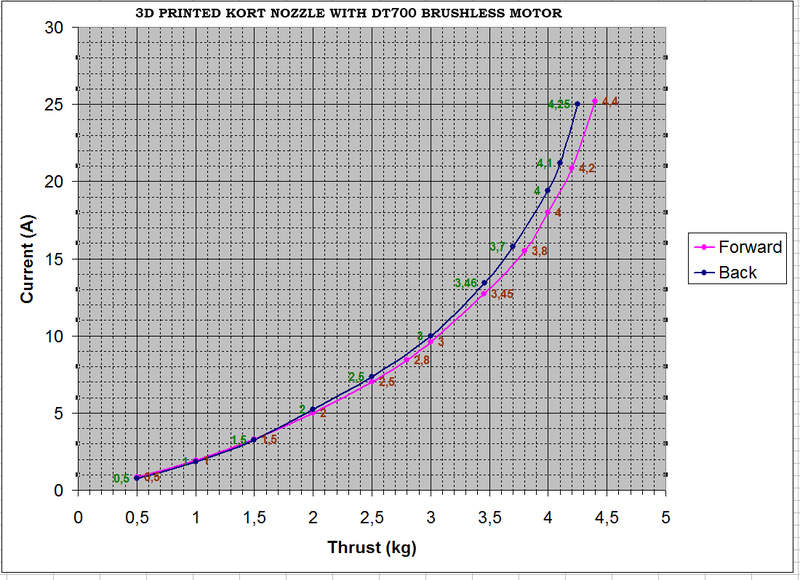 Now we did a test on the lake and got a higher thrust value. Upto 4.78 kg (10.5 lbs) (46.5 N) at 12V 25A.